I will stand still and wait for you, my love. Remembering that promise we made all those years ago. My one true love. Will you be waiting when I arrive? I was the tardy one, my life not governed by the pendulum of time. You always waited patiently, idly scraping at the papery bark with a fingernail, plucking yellowing leaves from the woodland floor. Would you be prepared to stand beside me once more and forget the past? 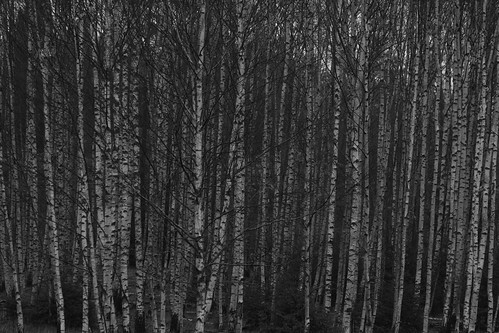 How much I’ve learned in those years, as the birches grew and matured and I got older. I can’t promise not to hurt you this time around. I’ve learned enough to understand that hurt is sometimes unintentionally inflicted and a broken heart is never completely healed. But though my heart is damaged you have always been easy to love. Are you married, divorced, widowed? Or like me, never could settle to any other human being since the day I left you behind. Would we dare climb the trees like we used to? If you don’t turn up soon I’ll climb them on my own and do my best not to remember our birch-swinging days.